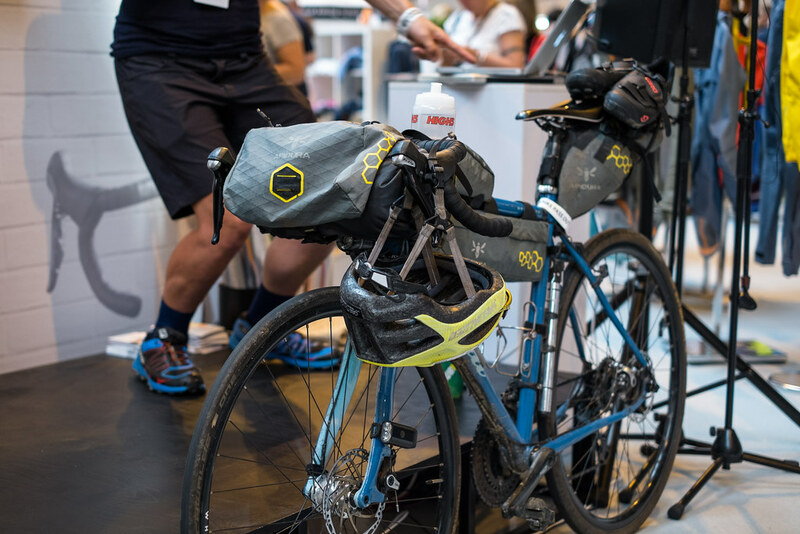 Its been a while since I’ve attended a big cycling trade show, and there now has to be quite a pull for me to go to one these days. 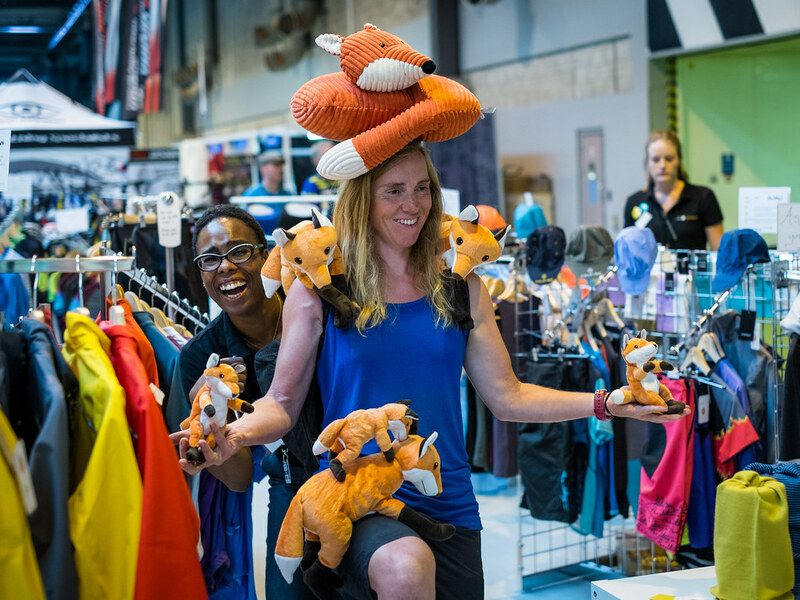 So when VeloVixen spoke to me about an idea they had put together with The Cycle Show at the NEC, they had my attention… and me saying “HELL YES” to being part of their plan. 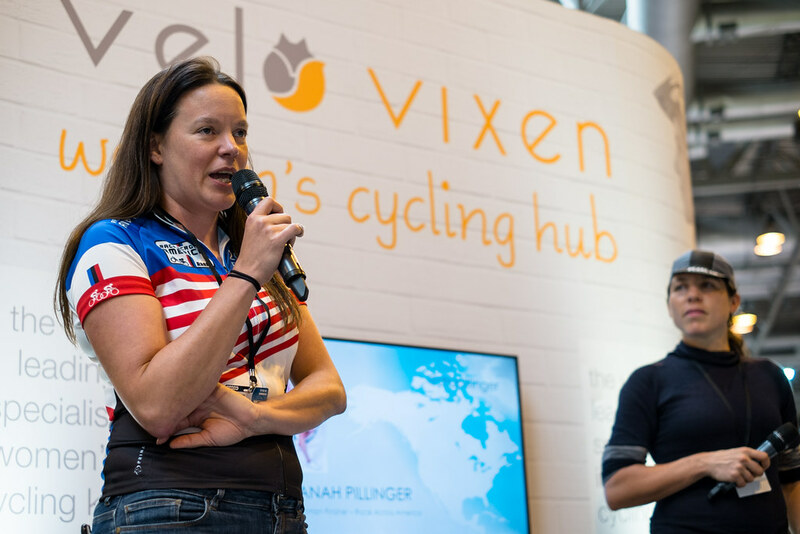 VeloVixen created the Women’s Cycling Hub: a year in the making, they laid on an area solely devoted to women’s cycling. 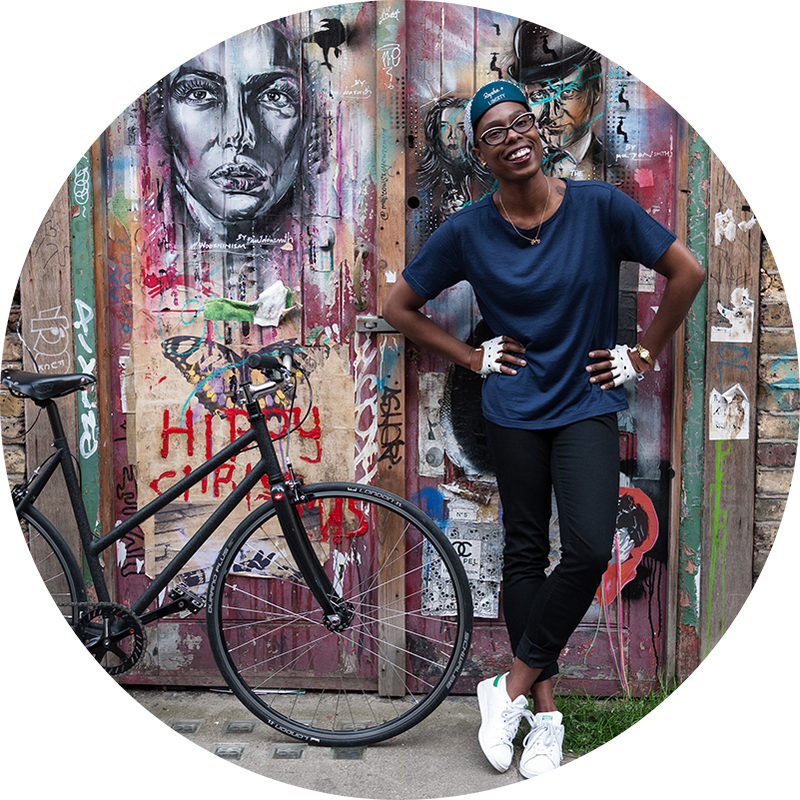 It offered a mix of female-specific clothing brands to try and buy and it boasted its own speaking zone – giving a platform to women in cycling to take the stage. This was the thing that got me: the line-up of speakers for the Hub. 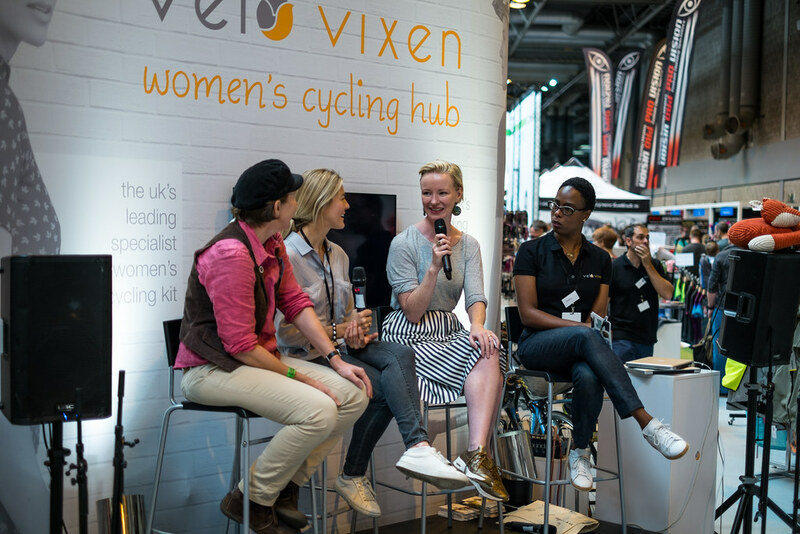 Now, please don’t let me be misunderstood – it’s always fantastic to see some of the very well known names in cycling up on the main stage of shows of this scale… but when you’re bringing together Olympic gold medalists with lesser known female cycling advocates, endurance riders, MTB legends, grass-roots cycling clubs, and frame builders (and that’s just scratching on the surface of the roster for the weekend) you’re onto a damned good thing. All of these women have incredibly different voices and therefore have different stories to be told. Just as one woman can’t represent every single one in cycling, variation is key to getting multiple messages across. 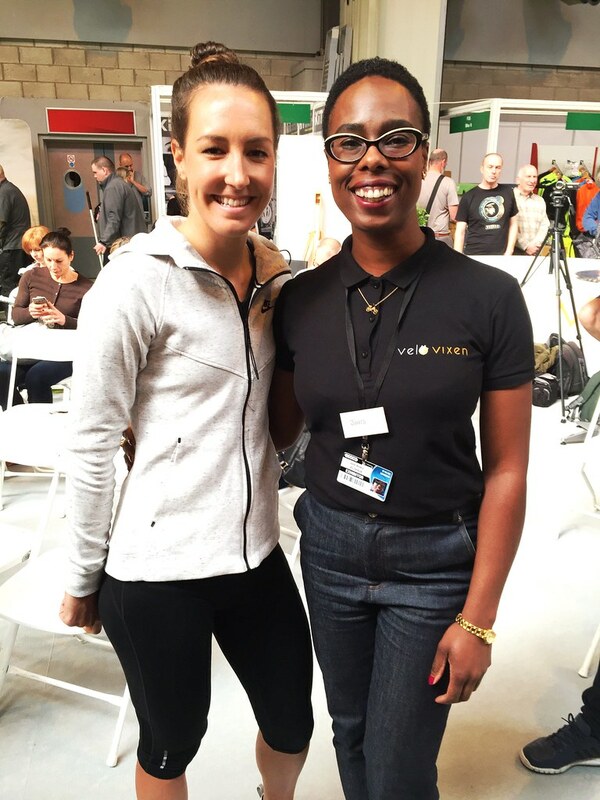 It’s also key for other women out there who are into or want to get into cycling and are looking for others like themselves who they can possibly relate to and identify with. 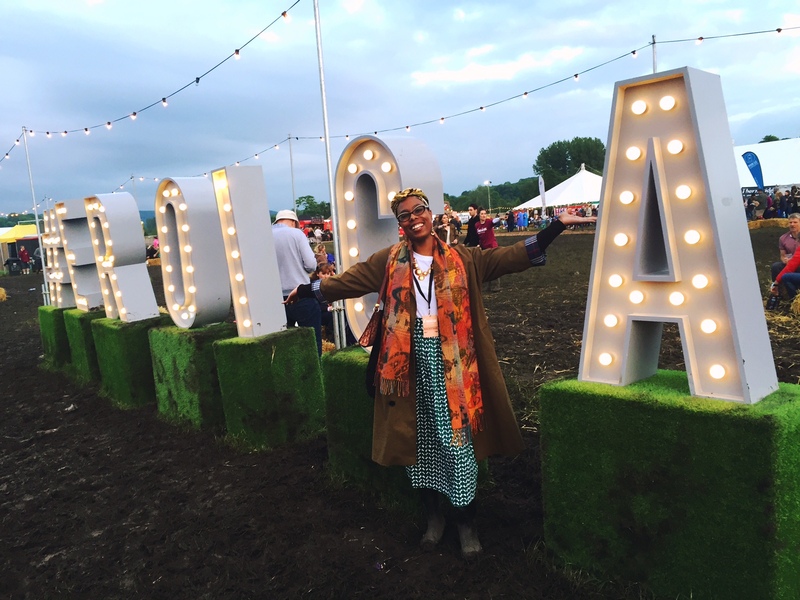 There was a stellar collective of baadass women who took to the stage over the weekend, and I had the double honour of being in that line-up and being the host / compére of the Hub. Remembering not to let my nerves eat me alive, I got on with the task in hand – which was to remain totally professional in handling the stage and Q&A sessions I was running, while also getting totally immersed in the fantastic cycling stories being told via the panels and talks being given. In this situation, some fan-girling is more than allowed, right? How can you not when you have the likes of Shu Pillinger and Emily Chappell talking about racing across continents with no holds barred on how challenging it is? 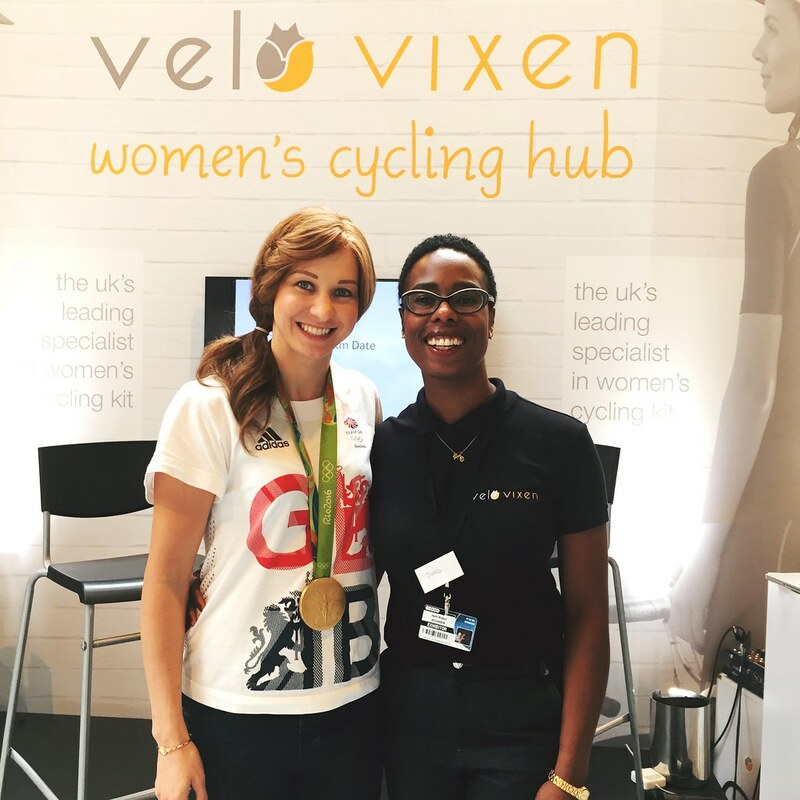 Then sitting down with both Jo Rowsell-Shand and Dani King for one-on-one Q&A sessions talking Olympic gold, the hard work and sacrifices that go into being in that world and what the future holds for them? Dipping my toes into Mountain Biking is now on my list of things to do, thanks to sitting down with Manon Carpenter and Sally Bigham. This is a discipline of cycling that both fascinates and frightens me… but after that weekend, and getting to ask questions I’d been biting my tongue on, its gotta happen! 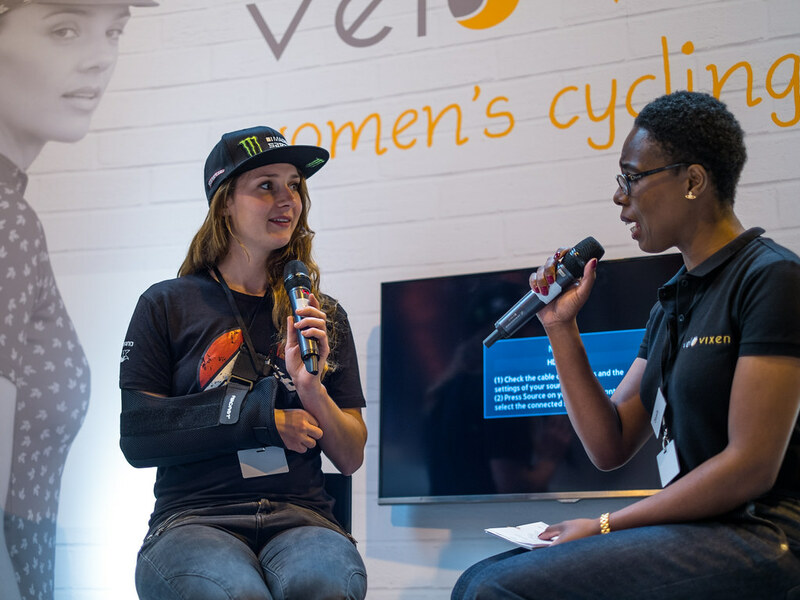 Honest and frank talks about carving a career in cycling as a woman were on the agenda too. 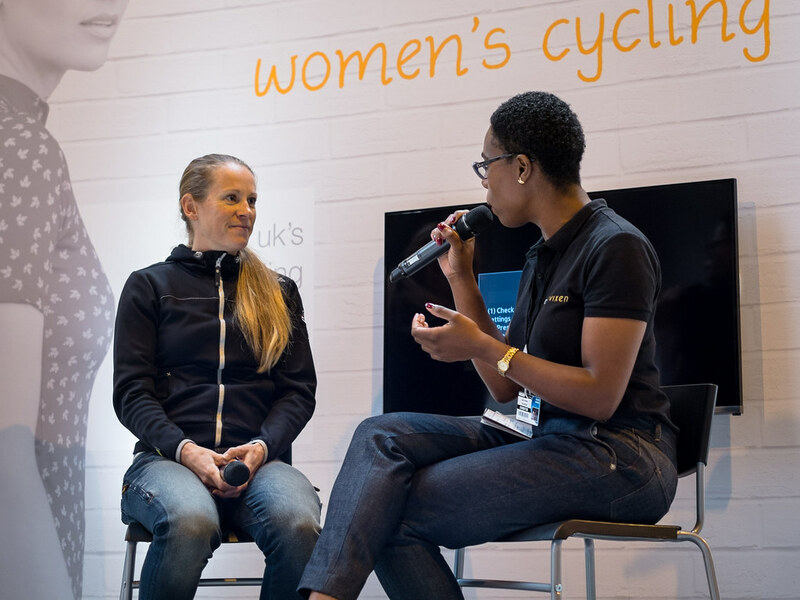 From the lack of female frame builders to female cycling clothing designers, Liz Colebrook, Joyce Bereton and Alicia Bamford were discussing the difficulties and joys of their paths, and making changes for other women wanting to go down that road. 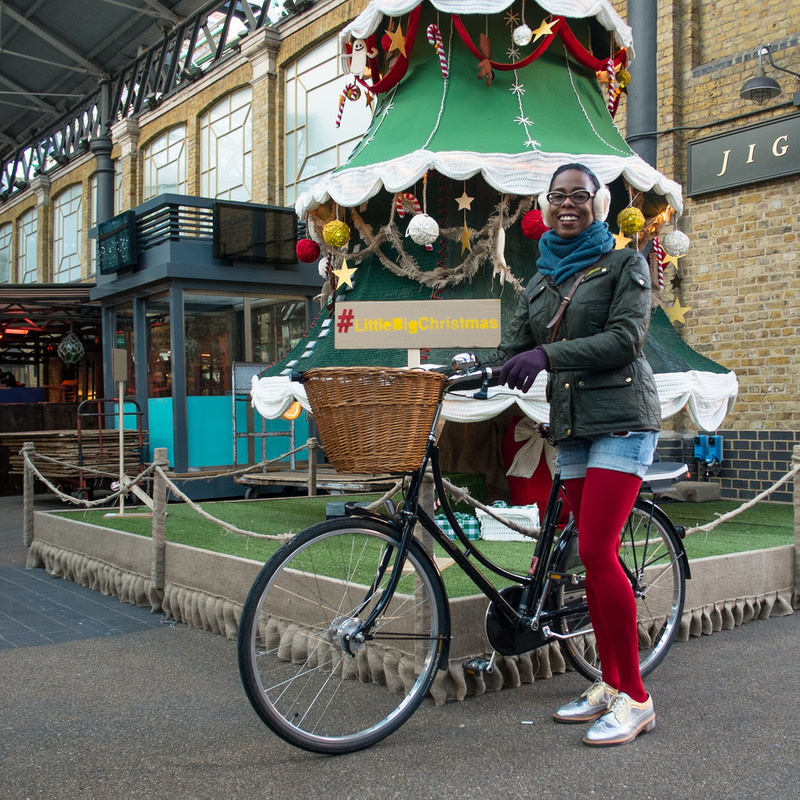 The lack of representation of women at large scale cycling exhibitions feels like a bit of an Elephant in the room. 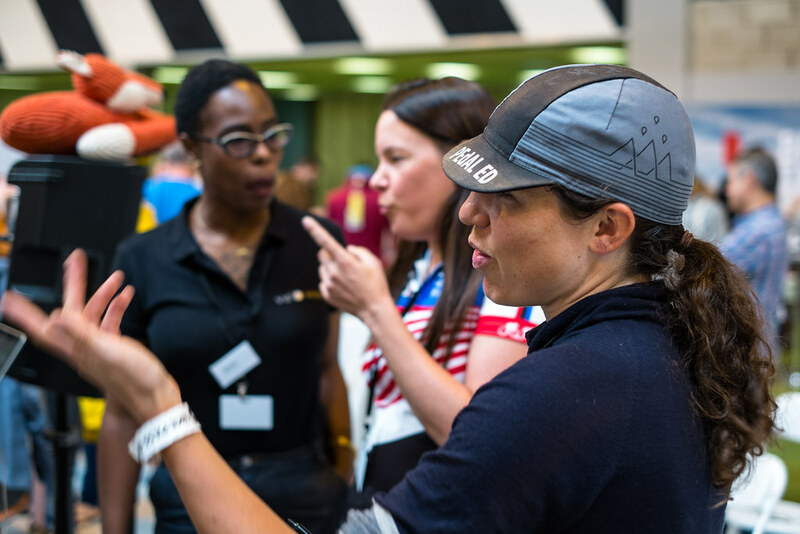 Of course there are brands that have women’s cycling kit / bikes on display, but not much focus seems to fall on women’s cycling, the incredible stories behind it or catering for that audience at these events. 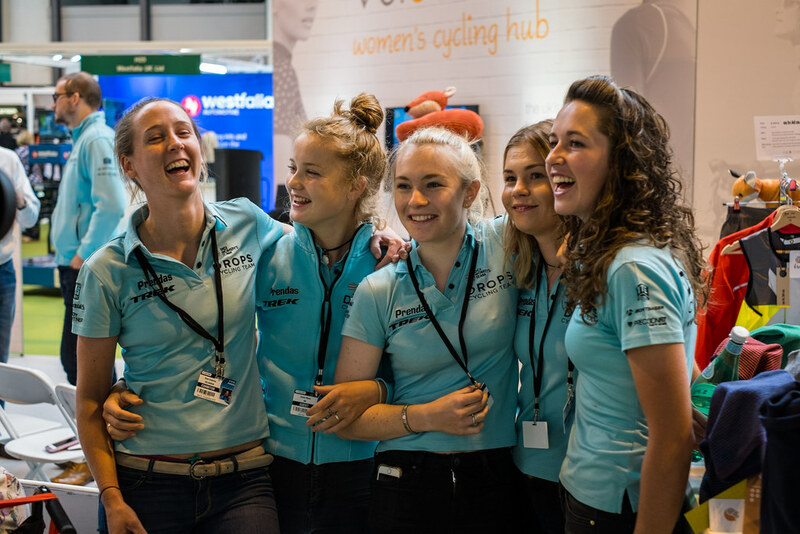 Considering we make up 50% of the population, and one of the fastest growing customer sections in cycling is female road bikers it begs the very obvious questions: “Why isn’t there more for women at these shows… or more women ON the line-ups?” With the Women’s Cycling Hub, VeloVixen have started carving out the path for change at these events… but as discussed with Chris Garrison and Adele Mitchell on our talk about “the state of women’s cycling today”, there is still some way to go. That’s not to throw shade on what’s happened at The Cycle Show: celebrating the positive steps and the people who are taking them is very necessary, but changes still need to be made, and brands / events further up the top of the chain need to sit-up and pay attention and start implementing these changes too. The net that VeloVixen cast out there can go even further with more women from different cycles of life being part of their line up, which why I hope that the Cycling Hub isn’t just restricted to big trade shows… perhaps putting on more as stand-alone events or it travelling around the country? I’ve come away from the event learning even more stuff about women’s cycling, which is no bad thing at all. 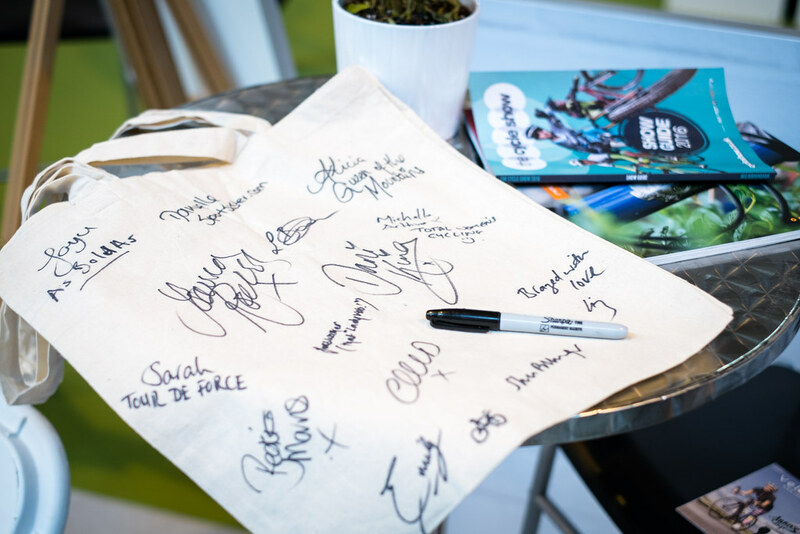 Working with one of the nicest teams in the cycling industry (they also like to have a laugh too) who are moving towards actual change – and doing something about it was incredibly refreshing too. 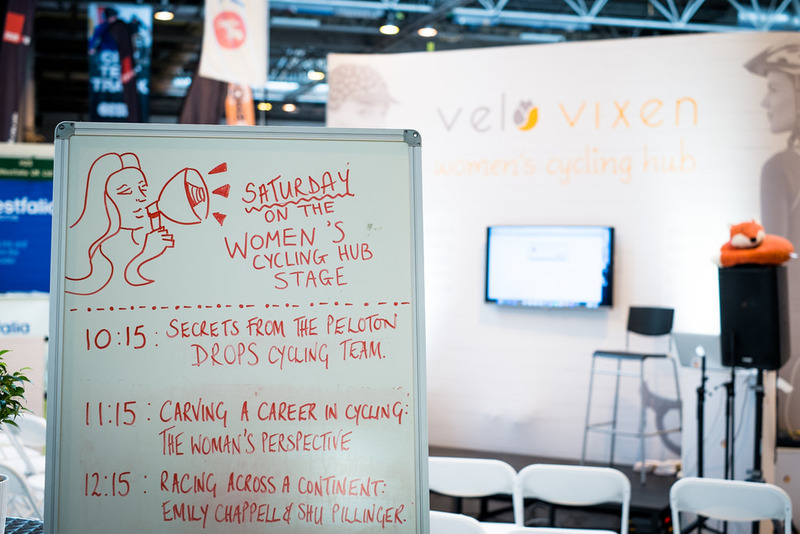 It’s pretty pleasing to have been a part of this with VeloVixen, and The Cycle Show showing other large scale events how it should be done. 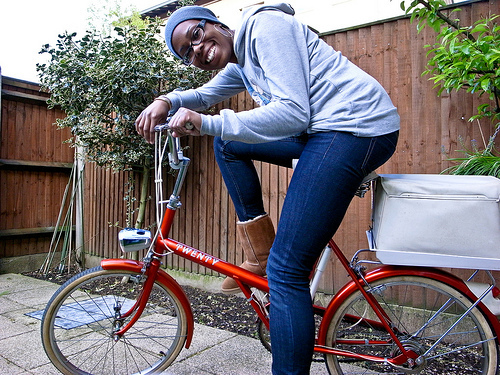 Lets keep the wheels turning on this, and get more diverse women involved from across the world of cycling. 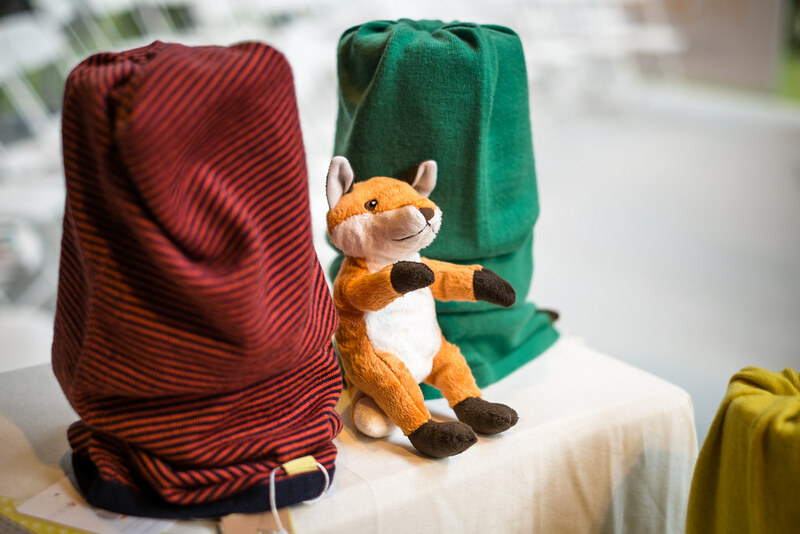 We all have voices and stories that should be listened to… take the stage. *More pictures from the weekend can be seen in this set, by Ian James.